Earn up to 100 Super EnergySpins, worth €2.50 each! If you can’t go to Brazil for the Carnival celebrations don’t panic. 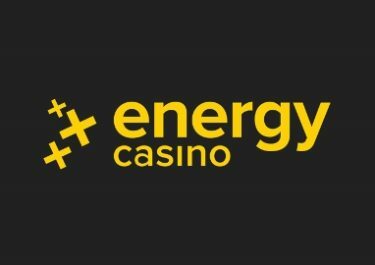 Get in on the carnival edition of this awesome campaign at Energy Casino and you will be handsomely rewarded during all sessions when using real money. Just play as you would normally, charge your EnergyMeter and earn up to 100 Super EnergySpins on Banana Rock, with ease. Progress through 30 levels and collect an EnergyChest after each completed level. Did you know?….EnergySpins and Super EnergySpins are Free Spins added on deposit, given as a reward or won as a prize from a tournament. 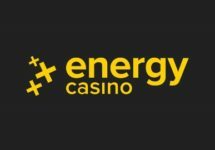 The winnings from the EnergySpins need to be wagered a defined amount of times on casino games before a withdrawal can be submitted. Need some booster to get through all the excitement? Not to worry, you can claim their 50% Weekly Reload Bonus, up to €50, to bump-up your balance for an extended play time plus earn double loyalty points when spinning on Strolling Staxx: Cubic Fruits. Bonus terms and conditions apply. The team at Energy Casino has rolled out a second edition of this superb new campaign for November 2018 that will reward all player for their wagering in the casino. A total of 30 levels are waiting to be completed with players collecting an EnergyChest at each level. They range from 5 EnergySpins on Butterfly Stacks to Super EnergySpins on Banana Rock. The progress is represented by the EnergyMeter, which has been divided into 3 tiers, each split into 10 levels. Players are charging it up automatically, every time they play for real money. Wagering on the following slot games will count towards this promotion: Lucky Symbols, Crystal Mania, Joker Spin, Voodoo Candy Shop, Dark Carnivale, Wild Bazaar, Vikings,Strolling Staxx: Cubic Fruits, Berryburst, Book of Ra Deluxe, Sizzling Hot Deluxe, The Great Gambinis Night Magic, Tidal Riches, Book of Oz, The Great Albini, Showdown Saloon, Bonanza, Magic Fruits Deluxe, Magic Stars 3, Magic Target Deluxe, Fenix Play Deluxe, Wild Falls, Star Joker, Banana Rock, Street Magic. Only cash bets qualify for the promotion. A minimum total wagering amount of €100 is required to unlock the first level. EnergySpins / Super EnergySpins will be credited automatically to player accounts once they are earned. 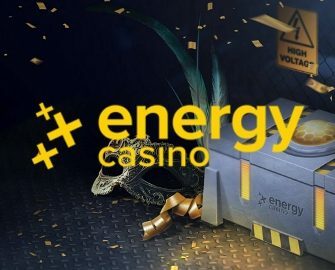 Any winnings resulting from EnergySpins/Super EnergySpins will be added directly to the player’s account as bonus funds and they as well as the no-deposit bonuses will be subject to 35x wagering requirements within five days, according to the Energy Casino bonus terms and conditions. Launched in 2013, the casino is operated by Probe Investments Ltd. under MGA Malta and UKGC licenses. The website is a comprehensive gaming and betting hangout, equally on desktop or mobile, with games from Netent, BF Games, Merkur, Microgaming, Novomatic (GreenTube), Oryx Gaming, Play’n GO, UC8 and Wazdan. The Live Casino tables are powered by Evolution Gaming and Extreme Live Gaming.